on the impact in Ireland of the proposed TTIP agreement is a wake-up call for all involved. “According to the report,” he said, “the beef industry stands to lose between €25 and €50 million a year due to increased competition from the US. “The spin on this, of course, is that the agreement would benefit the Irish economy overall, but is that justification for sacrificing any one sector? 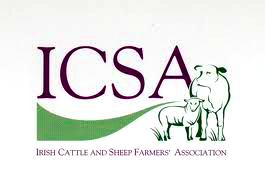 ICSA Roscommon chairman Ger Grehan has urged all farmers affected by land eligibility issues to attend a public meeting in Athlone on April 10th, at which MEPs, TDS and local councillors will be present. “The meeting will also discuss the proposed Dublin/Galway Greenway, which is a particular issue for farmers along the route through Roscommon and Galway,” continued Mr. Grehan. “Farmers have raised a number of major issues with the proposed development, and so far, these seem to have fallen on deaf ears. People’s livelihoods are at stake here, and the matter cannot be ignored by the authorities. Athlone Springs Hotel, and all are welcome to attend.